You are beautiful. Your skin is beautiful. Let us take care of you, the whole you. It’s hard to feel good about yourself when it feels like everyone is staring at your acne. Acne is the most common skin problem in the United States. In addition to causing physical scarring, acne can also be emotionally scarring, resulting in lowered self-esteem. If you are tired of your acne, and tired of poisoning your body trying to get rid of it, the docs at Heart of Wellness can help with safe, natural and effective treatments that can help you control your acne as a part of a comprehensive natural health and wellness plan. Conventional acne treatments typically include topical applications and oral medications. Topical treatments can reduce the amount of dirt, oil and bacteria on the skin. While these treatments may reduce the amount of acne, they typically don’t end the problem and the treatments have to be applied daily. The most common oral medications for acne are antibiotics. While antibiotics can be effective for reducing acne lesions, they can also cause stomach upset, nausea and tooth discoloration. Being on antibiotics long-term can also have detrimental effects on your gastrointestinal and overall health. Other medications such as Retin-A and Accutane may sometimes be effective, but carry side effects that can have serious repercussions on your health. In addition to having significant side effects and to often being ineffective, standard topical treatments and oral medications are limited in that they are merely focused on alleviating the acne without considering it in the context of your overall health and wellbeing or addressing the imbalances in your health and wellbeing that might be underlying the acne. So if you are tired of poisoning your body trying to get rid of your acne, and are ready instead to address your acne not merely as a skin problem but as a health concern, we suggest you try some of the natural, safe, non-invasive and generally very effective treatments that the holistic docs at Heart of Wellness have to offer. Dr. Michele Deisering ND is our acne specialist. 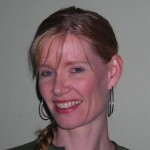 She is a naturopathic physician who is highly trained in the natural treatment of acne. Her treatments address the underlying conditions that cause it, such as hormonal imbalance and diet. Using laboratory testing where appropriate, targeted nutrition, botanical medical and diet and lifestyle changes, she works closely with each of her patients to heal acne and set a course for better health for life. She also believes strongly in providing patients with real information that empowers them to make educated decisions and take charge of their own health. We accept health insurance for all our services. We also have excellent self-pay rates if you do not have health insurance benefits that cover our services. Not sure if your insurance covers our services? Call us at 360-570-0401 and we will help breakdown your benefits for you. In addition, please verify benefits directly with your insurance payer. Non-emergency calls are answered during normal business hours. If you leave a message please include your name and phone number. Please include your name and phone number. We will call you during normal business hours to set up your appointment. Additional Questions? Call to set up a risk-free 15-minute initial consultation with any of our clinicians.